Good news for those who are looking into Office 365 or already are there! The headline feature of this release is Office 365 management and automation. 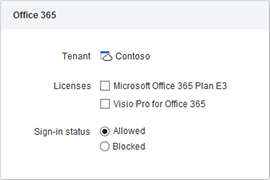 With 2014.1 you can automatically assign and revoke licenses for Office 365 users, manage Office 365 mailboxes and delegate Office 365 management tasks. We've enhanced Business Units to be more dynamic by allowing the use of value references in membership rules. This gives you the ability to create Business Units that will have different members depending on who is viewing their content. We've also introduced many customization and usability improvements to Adaxes Web Interface and Administration Console. These improvements seek to further streamline Active Directory management routine and give you more control over what users can do and see within AD. This short 2-minute video highlights some of the new features and functionality that has been introduced for Office 365. 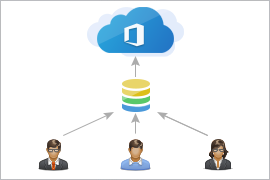 The new version lets you automate user provisioning for Office 365 services. It is especially useful when it comes to assigning and re-assigning licenses, as there is no other automatic way of doing it in Office 365. New deprovisioning options enable you to automatically revoke all the licenses assigned to a terminated employee and block their corporate Office 365 account. Now you can manage Office 365 user accounts and licenses using Adaxes Web Interface, which eliminates the need to switch between multiple apps and tools for Office 365 and your on-premises environment. 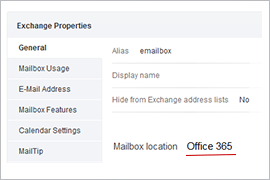 With the new version, you can manage Exchange mailboxes hosted in Office 365 in the same way you manage on-premise ones. 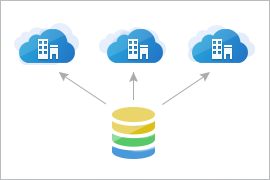 Adaxes supports both pure cloud and hybrid deployment scenarios. 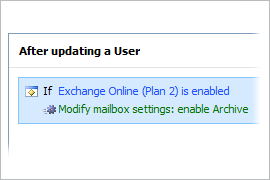 In addition to user mailboxes, you can manage groups and contacts that are mail-enabled in Exchange Online. Using condition-based rules, parameters of Office 365 mailboxes, such as mailbox features, policies, storage quotas and mailbox rights, can be configured automatically when a user is created, updated, added to a group, moved to another OU, etc. With Adaxes, you can delegate Office 365 management tasks with granular permissions and controls. For example, you can delegate assignment of Office 365 licenses to Help Desk or managers and define, which licenses they can assign or revoke. 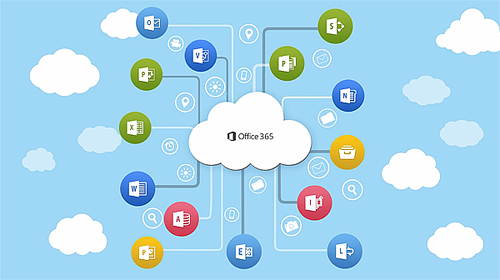 Regular users can use Adaxes Self-Service portal to select the Office 365 services they need and have access to the desired services after an approval is issued. Adaxes allows you to manage multiple Office 365 tenants associated with either a single Active Directory domain or multiple domains. 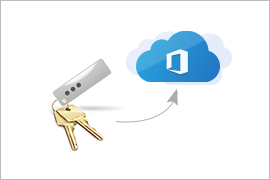 Adaxes gives you an option to synchronize passwords between Active Directory and Office 365. When a password is changed for a user in Active Directory, Adaxes will immediately update the password of the associated account in Office 365. It also means that the Self-Service Password Reset feature of Adaxes can be used to reset forgotten passwords in Office 365. The use of value references in membership rules enables you to create Business Units with dynamic content that depends on who is logged in. For example, now you can create a Business Unit that contains users whose department is the same as the department of the logged in user. 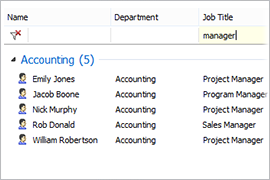 Using dynamic Business Units in Security Role assignments allows you to delegate rights to users within their department, office, Organizational Unit, etc. Now you can view which objects are included or excluded from a Business Unit by a particular membership rule. 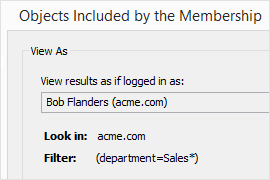 If a membership rule contains value references, you can view which objects are covered by the rule when the Business Unit is viewed by a specific user. 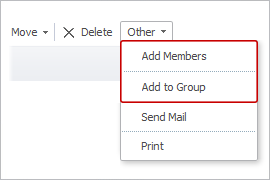 Now Adaxes Web Interface equips you with the capability to add members to groups in bulk. 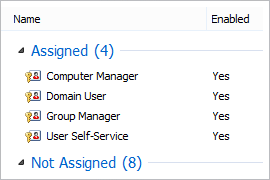 The Add to Group and Add Members operations are available when browsing Active Directory, in search results, AD reports, Basket, Members and Member Of sections. The new version gives you greater flexibility in customizing Web Interface forms and views. 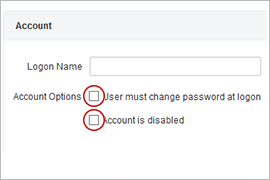 Now you have an option to specify which Account Options should be visible when creating, editing or viewing user accounts. Now you have more options to customize object selection in the Web Interface. 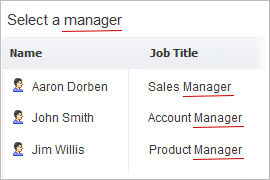 For example, when selecting a value for the Manager property, Web Interface can now display only users whose job title contains manager. 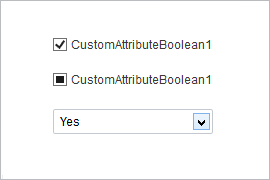 Now you can choose which user interface control to use for editing Boolean properties of Active Directory objects. It can be either a checkbox (with two or three states) or a drop-down list with customizable text for the True and False states. 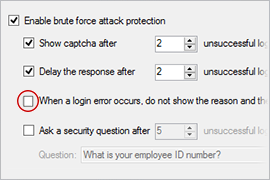 The list of Brute Force Protection options has been extended with a new one: When a login error occurs, do not show the reason and the number of login attempts left. 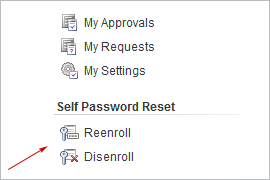 Now you can show/hide the links displayed in the Self Password Reset section. 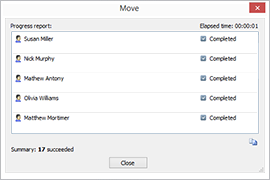 Now you have the ability to add columns containing information about Active Directory objects. 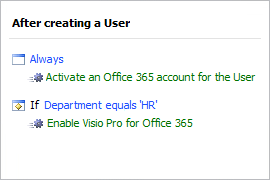 You can choose which columns to view when browsing Active Directory, in search results and Basket. In addition to that, you can filter and group the displayed objects by any column. 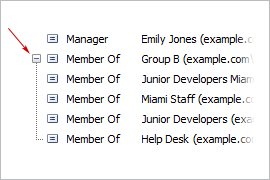 If a property of an Active Directory object contains more than four values, the values will now be grouped in the Result Pane. 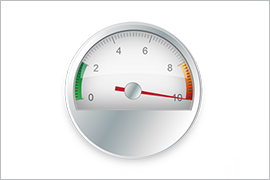 The user experience for executing long-running and bulk operations has been improved significantly. We've enhanced the views displaying lists of Adaxes configuration objects with new columns and the ability to group and filter their contents. 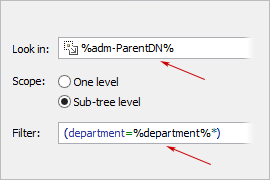 Now, when selecting objects in Active Directory, you can choose between the Tree View and List View. For this version, we massaged the code of Administration Console, so now it performs about ten percent faster. The new version of Adaxes is fully compatible with Windows Server 2012 R2. Requests for approval can now be submitted from PowerShell scripts executed by Business Rules, Custom Commands and Scheduled Tasks. For more details, see Submitting for Approval. Now Adaxes can send SMS messages over HTTP. We have added 10 new custom properties to store text data (CustomAttributeText21 - CustomAttributeText30), and 10 custom Boolean properties (CustomAttributeBoolean6 - CustomAttributeBoolean15). The distinguished name (DN) of the Organizational Unit or container, where the object is located. 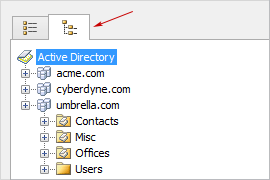 The distinguished name (DN) of the Active Directory domain of the object. The distinguished name (DN) of the manager of the operation initiator. The global unique identifier (GUID) of the operation initiator. The message text of the first error that occurred during operation execution. This property can be used in Business Rule actions only.